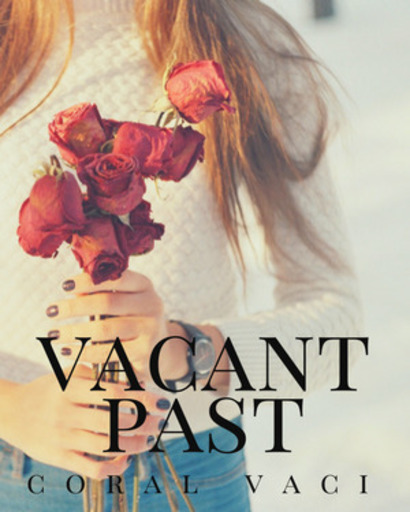 Book Two of the Vacant Memory Series / What if you could change your past? "Aunt Amanda is coming over today Nikita!" My new adopted mother Ms. Zheng ran into the room with her Samsung Galaxy while I was reading a history book. "Really?" I asked closing the book. Last year, when I was fourteen, Ms. Yazmin Zheng adopted me. I first met her when I was searching for my past and real identity. I had found out that there was important information about my true identity at the Russel Senate Office Building in Washington D.C. So when Jeven and I had picked the lock and snuck in the room we grabbed my file and then Ms. Yazmin Zeng caught us. Surprisingly, she let us go then it turned out she was part of the GTA (government testing agency) but she was fond of me all along. I knew in my heart it was okay to let her take care of me. All was forgiven. But it didn't fill the hole in the heart. I wanted to know who my parents were badly. "Yes in about," Yazmin looked at the clock on her phone, "Five minutes! Let's do some cleaning." "Oh boy, here we go again!" I jumped off the couch making my long strawberry blonde hair bounce. Aunt Amanda was Yazmin's sister; she was a friendly person like Yazmin but she often made last second calls before she came by to visit, always seemed to call at the wrong time and stayed for long hours. Yazmin and I were hoping to have some quality time together today but Aunt Amanda's infamous habit of visiting at the wrong time struck again. "My keys are on the table Nikita can you put them in my purse for me, please? I'll go get the coffee table cleaned off." I have three minutes exactly. As soon as a knock was heard was me and Yazmin ran towards the door and put on a smile. "Right on time," I chuckled. "Well hello, Long time no see!" Aunt Amanda ran through the door forgetting to close it and gave Yazmin and me a suffocating hug. "It was about two weeks ago last time you came over Amanda, that's not very long ago," I blurted, then gulped, Yazmin turned to look at me quickly. Aunt Amanda cackled, "Oh but Deary! That was a long time for me sweetie pie!" I crinkled my nose; I didn't like being called "sweetie pie" then she shut the door, and started babbling about her day and the latest town gossip. I sighed and watched the clock in the corner of my vision go from 2:05 to 2:06. Yazmin didn't tell Amanda that I was a cyborg or the rest of her family, we weren't allowed anyway and that was fine with me. Then wondered how Yazmin grew to love me even though I had some metal in me that kept me alive, and enabled me to travel through time. About an hour later we were still sitting on the couch having a fairly good conversation, but Amanda was mostly talking.
" --You see Yazzy he just wouldn't stop asking if I had some place to go! And I said no over and over then that guy finally believed me and you know what he did? Guess! Both of you!" We've been here for an hour and two minutes exactly. Yazmin groped for words, "I uh--"
"He asked me out!" Amanda threw her arms in the air. "What did you say?" I asked keeping in the urge to laugh. "Well, of course, I told him we'd have to get know each other first!" Amanda droned on and on about the guy until 3:48 pm. Before she left, she winked at me "Good luck to you and your boyfriend Jeven sweetie pie! Bye Sister!" And she was out the door. I breathed a sigh of relief, but I was blushing unrestrainedly at the mention of Jeven. I looked at Yazmin then she looked at me; we both had a good hard laugh. Then my ringtone went off. Jeven: whats up? Oh guess what I have finally come up with the ultimate nickname for you! Me: 0_0 You have? I'm good, Aunt Amanda came over today. Jeven: She did?! o.e Before I tell you the nickname I have one question. ;-D Are you still good at hacking into computers, and that tech stuff? Jeven: Great! XD Ready for your new nickname Nikki? Jeven: Is Time Girl okay with you? Jeven: It has a nice ring huh? Jeven: Well goodnight my time girl. The next day I went to school as usual but there was something on my mind. So many new questions had arisen about my past life in the two years that I had been living with my new mom. "Nikita, hon, you've been quiet all day is there something you want to talk with me about?" Yazmin sat next to me with a worried expression. "I have something to ask you--" pausing I took a glance at the clock in my vision, "Can I help you make supper first, then we can talk?" "Sure," Yazmin nodded and gave me a small smile. We made chicken salad sandwiches for lunch and sat outside on the back porch. I stared at my delicious sandwich then looked up at Yazmin, "Did my real parents love me?" Yazmin looked off to the backyard for a moment, then back at me and heaved a sigh, "I don't know Nikita, the government hired me when I was seventeen as the tech specialist. I wasn't allowed to meet your parents. That was six years ago when they did that, to you and your family." I bit my lip, "Then would the other members of GTA know?" "Maybe," She lowered her voice and moved in closer, "We're not allowed to meet again and if we do happen to meet up it's a you-never-saw-each-other-before thing, and don't go running off to track the other four members down because I know you could." I already know where they are. I shook my head. "I am not going to break into buildings and track things down illegally, besides, the CIA hired me why do it illegally when I can do it legally?" Yazmin and I both chuckled, then I reached down in my pocket to grasp the same two hairpins I used two years ago when picking locks on my adventure with Jeven that day to find who I was. Then I exhaled and sat back in the metal porch chair, "I won't do it thought, but did the other members tell you anything?" "No, they weren't allowed to." I muttered under my breath thinking of the time before the government banned testing on their citizens. "I wish I could remember the time--" There was a click in my mind and it felt like a light turned on. I had an amazing idea. "Whats wrong Nikita?" Yazmin's expression was a mix of slight worry and curiosity. "Uh, nothing-- I'm hungry- how about you?" I hastily picked up the sandwich. "I guess I am hungry too," She replied smiling. We ate lunch together and talked about school and Yazmin's work at the Russel Senate Office building. But while we talked my mind was elsewhere. I was going to do something I had never ever done before. I needed to text Jeven right now. Me: That winky smiley face again? Jeven: LOL Yep! What's wrong? Me: Okay I'll tell you in one sentence. Me: I'm going to go back seven years to my past. Jeven: WHAT? Why? Wait a sec. Me: I need to speak to you in person. Jeven: I'm getting in the car right now and driving over there! Me: Your parents let you drive the car? Me: Wait you're coming now? What about Yazmin? I couldn't believe that Jeven was going to drive all the way from New York to Washington D.C. for me! That was a four-hour drive. It's going be a little after 10:30 when he gets here. Me: I'll think of something. see you Jeven. "-Jeven is coming over?" Yazmin looked up from her computer. "Yeah, we need to talk about something," I said quietly. "Well, Its been a little while since I last saw him, which was about three months ago." "I guess your right, but you and Jeven have school tomorrow." "I'll make sure he gets there on time." "I can move him through time and space." The sky was already a twilight when a red Toyota truck drove in the parking lot. I could see Jeven, he was wearing a dark blue plaid shirt and light blue jeans. He was also very tall, I chuckled thinking of our times together before. I am so glad he's here. Then I walked over to the door opening it quickly before he even got to knock it. "Jeven!" I ran out to hug him, "We can talk in the living room, Yazmin is making food in the kitchen." "Hello, Jeven!" Yazmin looked around the corner, "It's nice to see you two together again but don't mind me I have things to do." "Alright ma'am," Jeven nodded then looked at me worried, "About your text." "Please just listen. I want to travel back in time seven years before the government changed me and my life. I want to know who my parents are, and if they loved me." "I- I'm so sorry that I don't remember much about your parents at all Nikita, they were almost always busy." Jeven looked down at the floor. "It's alright Jev," I smiled at him. "I am still surprised that we met up in New York that day. A year after my family was told that you were kidnapped and killed, we moved from Maine to Brooklyn, New York." I swallowed hard kept my composure, "Fate can be surprising sometimes, can't it?" "Yes Nikki, yes it can. How long will you be gone?" Jeven's voice wavered. "I'll plan on being there five days or so, but to everyone else it will only be a moment." Jeven nodded, "When are you leaving?" "This Friday at five pm." "Whatever you do, stay safe." "Don't worry Jev," I put an arm around him "what could possibly happen to me?" "Honestly Nikki I have no idea." Jeven's blue eyes showed much worry. "Just don't get yourself in trouble Time Girl," Jeven was grinning now. I grinned back. "I won't Jev." I said softly taking his hand in mine. It was finally Friday. I sat on my bed looking out the window. I could hear a plane flying outside my open window. A cool breeze came in the window making my long strawberry blonde hair float out behind me. I sighed heavily as I watched the clock in the corner in my vision go to the next minute. There was no way I was going to tell Yazmin about what I was going to do in four minutes. Jeven is already very worried about me I don't need another person that I care for worried too. Time traveling was funny in a way, you could time travel to a place and stay there for a little while but to the people in the present you were only gone for a moment. "Maine, 2018, my past neighborhood." I could feel the breeze in my window no more, still concentrating on my time traveling everything was a blur that blur got faster and faster. Then it came. That strange sensation that I had first felt at twelve years old of moving through time, and space. The blur got slower and then stopped. I found my self sitting on a dock, I enjoyed a new breeze, this time from the wind blowing over the blue-green water. 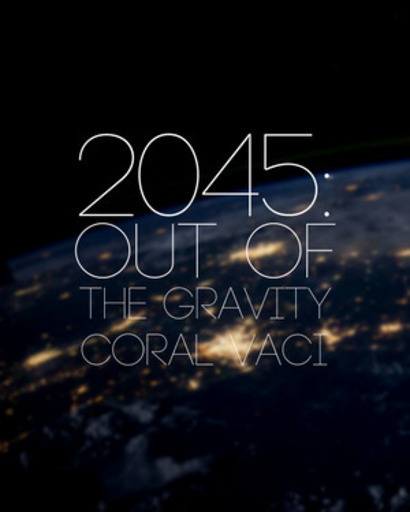 I stood up and dusted off my light blue boot-cut jeans, and straightened my Venetian blue tee-shirt. The only possessions I had brought with my from the present day was: a change of clothes, my journal, a camera, and an MP3 all in my royal purple leather bag. I walked down the dock feeling anxious and nervous, I'm sure Mr. and Mrs. Hadix were around here in this town somewhere. I thought if I took a bus to the post office somebody would tell me where my parents were. Of course, I had to say I was someone else, not Nikita Trinity Hadix. So my plan was to be Esther Hakel. "Hello!" The post office man smiled widely at me, "Do you need any help?" He asked with his Maine accent. "Yes, I was wondering do you know where Glenn Hadix and Denise Hadix lives?" I smiled back but I was feeling that same old anxious feeling again. "Of course, what's your name?" The post office man looked to be about twenty years old. "I am Esther Hakel," I looked around slowly as I said this taking it all in. "Alrighty then," He took out a paper and wrote down the address then gave it to me. "Do you have someone to take you?" He asked. "I can take you, I know Mr. and Mrs. Hadix." I frowned, I suspected he liked me, "Fine, but what about your work?" "Oh, that?" He laughed, "The manager will never know," He winked as he stepped out from behind the desk, and we drove to what used to be my house. "We're here, Esther," He turned around and winked, "Call me again if you need help," Then he gave me his number. I reluctantly accepted. I stepped out the car eagerly. I noticed the many trees around an old looking red house with a black roof. I could see the Atlantic ocean just beyond the house. Walking to the door, I couldn't think of how long it took me before I had mustered enough courage to knock on the door. I already had my story all made up a fake identity, and everything. I interested to see how this would going to play out. "Hello?" A tall man with a thick Maine accent around his mid-thirties answered. He had brown hair and piercing brown eyes; he was wearing a navy blue shirt with a gray vest, and dark blue jeans, "What brings you here in this neck of the woods?" He asked with an expression of curiosity. Immediately, I put on my wanting-refuge face, "Sir, are you Glenn Hadix?" "Ayuh," he replied, the Maine way of saying "yes". I held in the sudden urge to hug him, "I was on a road trip in a travel bus, and then it broke down, so I walked here to this town. I was hoping I could stay for five days until I find another way of transportation." My dad's eyes widened for a second, "Come inside, I'll talk with my family if we can let you stay for a little while," He stood aside, and let me in. The house wasn't what I expected, it was old on the inside too, but a very homey atmosphere when I looked up to see a small red lighthouse lamp hanging from the ceiling I felt something spark in my memory. "I'm gonna go fetch Denise, my wife, she is with my daughter at the seashore, make yourself at home. Wait, what's your name?" He smiled, "Alrighty Esther, I'll be back." Looks like my story got me past the door. I sighed as I watched Glenn- I mean my real dad- walk down the shore where I could see three figures near the peaceful water. One of them is past me. I sat silently looking at the white carpet floor for what seemed like hours, then the door opened. My heart lurched. I saw a woman who looked to be in her early thirties; she had strawberry blonde hair and blue eyes. She wore an olive green long sleeve shirt, an infinity scarf, and capris. Next, was a boy about eleven years old with brown hair and blue eyes, he had a surprised look on his face. He was wearing a plaid shirt with shorts. Last was a ten-year-old girl about the same height of the boy, she had strawberry blonde hair and blue eyes just like the woman. She wore a yellow sundress and flip-flops. "Esther, meet my wife, Denise," My dad took the woman's hand gently. This is my mother, she looks so much like me. Both of me. Then my dad twirled girl around, "This is Nikita, my girl." The words "my girl" resonated in the corner of my mind. The boy at my mom's left was frowning now. "What about me?" He said with crossed arms looking up at both of my parents. My mom and dad laughed, "Oh! This is Jeven, we like to call him JevJev sometimes. This little man is our next door neighbor and Nikita's best friend." I just wanted to hug mom and dad so tight, and tell them everything, but if I did they'd never believe me and shoo me out of the house as a girl with problems in the head. I didn't need that. I looked quietly at the four. "But I have matters to discuss with my wife. So you three play nicely while Denise and I talk, alright?" I watched my dad put a hand on my mom's shoulder as they walked down the hall. 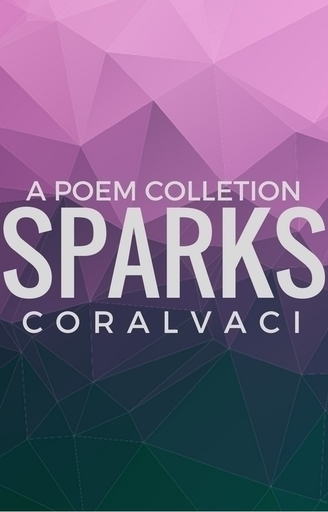 Third poem collection - More metaphorical poems! 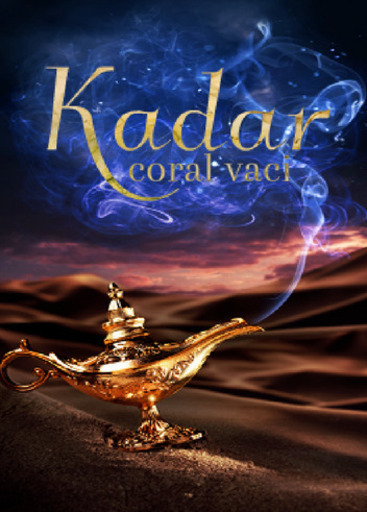 The great grandson of Aladdin finds the two genies his great grandfather encountered long ago.